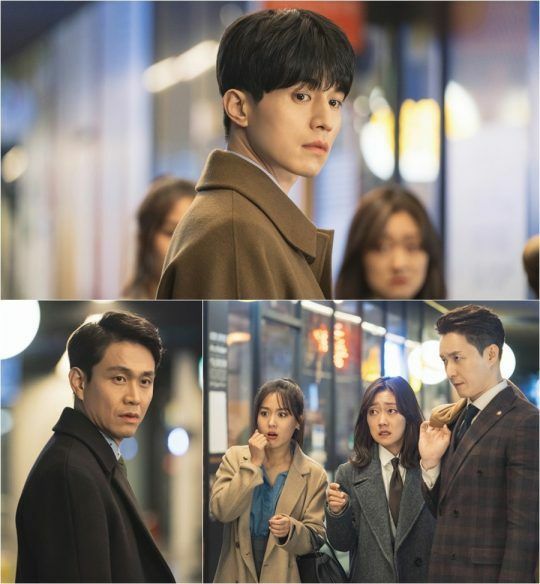 I find myself curiously untouched in the heart by new tvN Wed-Thurs drama Touch Your Heart, when I watched the first two episodes it was with a detached and dispassionate engagement despite really excited about it beforehand. 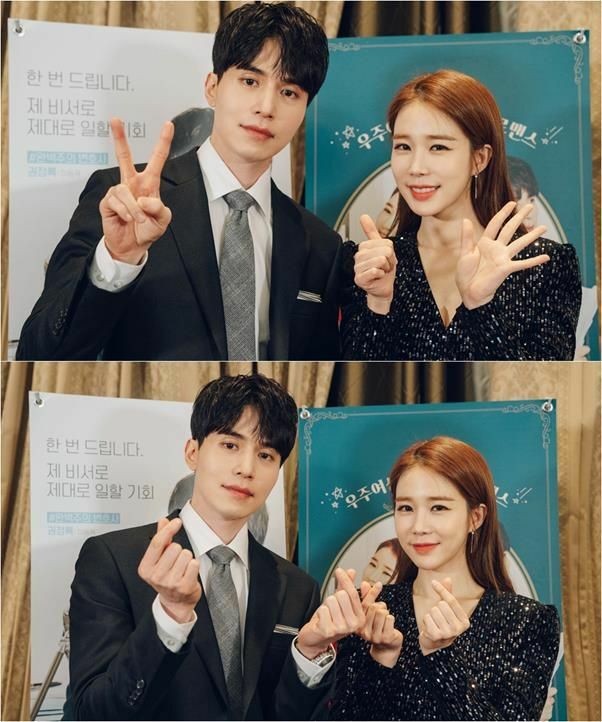 The reunion of Lee Dong Wook and Yoo In Na from Goblin turns out to be just okay, a testament to how that drama wrote their characters and arc to be the selling point moreso their own charisma and chemistry. Here their characters are just stock rom-com cutouts so their chemistry feels like a half-risen souffle, still good but you’re rather deflated because you know it’ll be perfect if it rose all the way. The ratings are exactly half of its predecessor Encounter (Boyfriend) got, with episode 1 being 4.736% and episode 2 at 4.583%. I’m going to keep watching because it’s cute enough with all the stock K-drama rom-com tropes aplenty and a female lead who is just the right balance of sweet, ditzy, with a surprising depth underneath her glossy exterior. Oh me me me I said I wouldn’t watch it but I am and I’m hooked cos it’s not try hard but easy to watch and YIN is such a loveable airhead trying to do her best but keeps bumbling along. I really love how she went to see the scriptwriter and beg her for the lead of a drama but was told blatantly to her face she was a bad actor and then we see a scene later on with JKY and yep her screen acting is terrible. And all she can manage is ‘Oh Yeon Seo you are pretty’. Lol at that! Maybe because I never watched Goblin I like the pairing of LDW and YIN or I just want all the old fashioned rom com tropes and all to be laid out and I don’t have to think. Either way keen to keep watching. 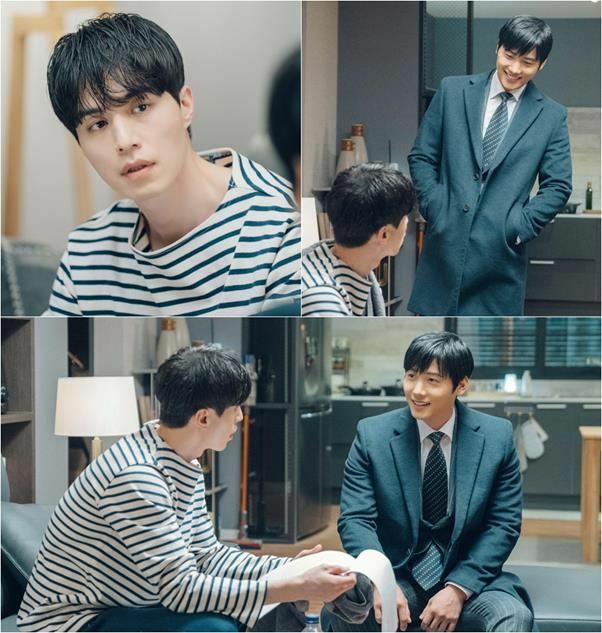 Lol the ceo and mama boy is the true gem of this show.. I hope they will show them more. Yoo In Na is good as playing the her role, what i really feel dettached and disappointed is Lee Dong Wook. His acting remains stoic (don’t argue me with how his character is because he can do so much aside from being that straight faced stoic man). He was better in Goblin, a bit but still better and more handsome, lol. It was only ok so far but I hope the writing whips into better shape. I’m quite tired watching LDW in the same stoic serious characters in dramas, except for Goblin. It would have been a riot if their characters were swapped instead; YIN as the stoic attorney and him as the ditzy actor. I hope it picks up big time coz they’ve got great chemistry together. You can’t really compare the Encounter and this drama. First, the budget diff is probably is 100% gap being Encounter a high budget drama and that goes with the Marketing costs as well. Encounter has been marketed since the beginning of its filming, so naturally it has built the hype that resulted to the premieres rating. But how did the drama finished? Encounter didn’t even reach 9% considering the budget. We will just wait how Touch Your Heart performs. @Mistyeyes encounter was produced by Bon factory so all the budget and promotion cost are from them. And even though series got mixed reviews the ratings in cable is above average and it was sold to diff. Asian tv station plus lets add the leads cfs banking the series. That is not my point. The fact that Encounter is probably x3 or more than budget of usual kdrama, of course Encounter to earn more plus it should deliver the required rating proportionate to the budget. I don’t think it’s fair to conpare the two dramas rating requirement. 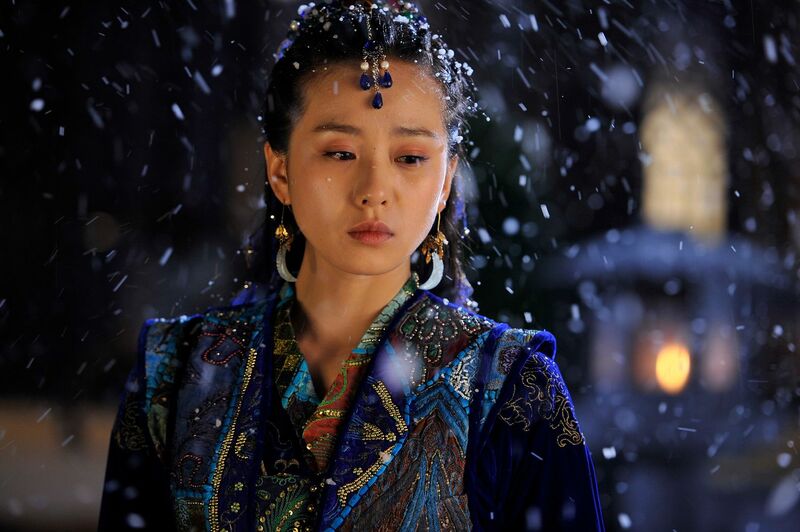 And btw, all modern dramas are flooded with PPL. It’s actually disadvantageous for the production company if lead actors of their dramas are exclusively endorsing certain brands as PPL will be restricted or limited to particular brands. What if competing brands of the products that lead actors are exclusively endorsing pays more? So producers point of view, it’s better that those actors have no exclusive attachments to any brands or products. Lol it not about the budget are you telling me that touch your heart would have pulled in the same ratings as encounter if the had the same budget. Encounter wasn’t great but they had stars with big names that what kept people watching can’t say the same for ldw and yih and don’t forget most people tuned in because of the goblin hype. 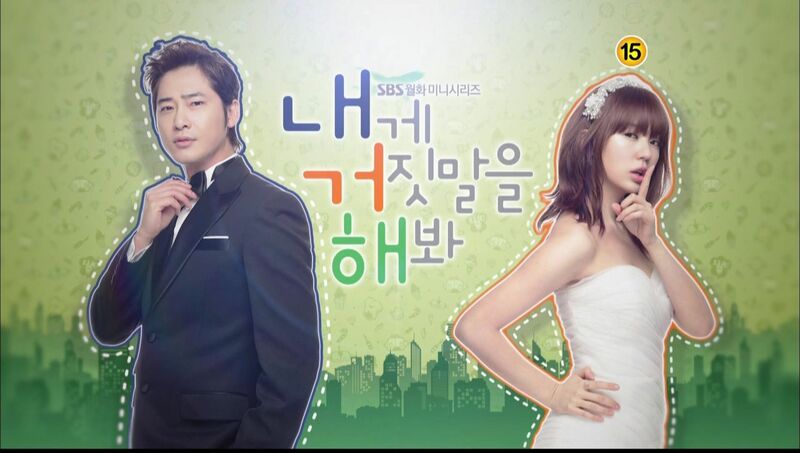 @MistyEyes the budget of the drama encounter includes pbg and shk fee so its just natural for them to get high budget. Plus tvn is only the distributer of the drama the main producer is bon factory. And since the series was sold to diff tv station across the asia they already earn propits there plus dont forget the main leads endorsment invested in the series. Tbh tvn must be very happy imagine they didnt produce encounter but the series manage to get above average ratings for their station. lol Are you serious for telling me that? Guess you don’t have any about these things. FYI TvN is only a distributor or broadcaster of all their dramas. They were never the producer. 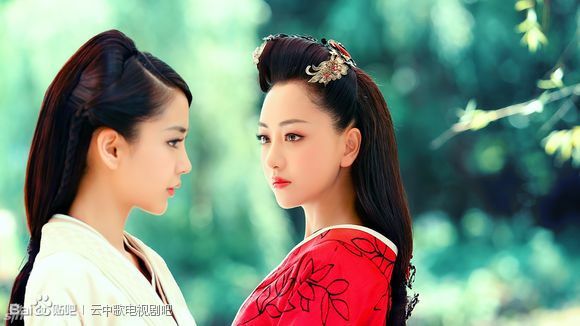 Studio Dragon, Bon Factory or others are producers of the dramas. TvN and Studio Dragon may have been in the same group of companies but they not the same companies but two different companies. lol … seriously How old are you? Studio Dragon = TVN. They own the production house. lol… guess you don’t understand business structure… it’s a waste of my time argueing… sorry it may sound mean but feel like I am talking to a wall.. It would help you if you read my previous comment again. Probably difficult for you to understand these things based on your reasoning. I never said Bon Factory is part of CJ E&M. However, Bon Factor is a counterpart of Studio Dragon. I will repeat what I said in my previous comment, TvN & Studio Dragon may be under the same Group of Companies but they are not the same company, but two different legal entities. TvN & Studio Dragon are two separate companies & both have to show their own positive performance or profit separately. But it’s not the issue here. I was just saying in my intial comments that Encounter costs more to make & it’s not about the payment of the actors because Touch Your Heart probably costs higher actors fees considering you have LDW, YIN, LSW & SYT but because of Encounter’s overseas production costs + long period of promo that started from their filming in Cuba through stills and other releases sent out to the media. How do they marketed encounter since the beginning, u mean the announcement of the casting, every drama was like that maybe they are in the news more coz of the cast and u probably see them more coz of fans post, and for overseas promo thats for the station who bought it,some ads are paid for by pbg fans the 1 in the sk subways. Maybe u didnt follow but fans keep posting in tvn page to put out the teaser. The reason I can’t like it it’s because it was selled like a continuation of goblin, sure it’s not the actors fault, but still. I love the side characters, so I’m going to continue watch, but not because of to the leads. Encounter was not ground breaking either. It was extremely old fashioned noona love/chaebol heroine semi candy hero story line marketed as a high profile production. Park Bogum almost traumatized me with his cringeworthy crying scenes on top of that. I am currently re-watching I Remember You to remind myself that he can act pretty well. It was not well written either. With touch your heart you get pretty much as was told, nothing more, nothing less. Yoo In Na grew on me but Lee Dong Wook looks stoic so far and not in a good way. I may drop this. Spring is Coming is far better in terms of new dramas that are airing. Will stick to that. I found myself enjoying this drama too. Can someone stop bringing encounter, its already end, lets move on. We can’t help it. It’s Post traumatic stress disorder caused by PBG’s cheesy acting and SHK’s frozen mannequin expressions. It’s going to take some good dramas get rid of the trauma. Ms Koala brought up Encounter first. You need to direct that to the author of this blog. I didnt expect to like this drama too. Only reason im watching now is cos im so bored but i ended up liking it. Not loving it yet. Let’s see if it gets better. It does have the old sch romance feel. I cant stop saying this but i really miss those solid dramas from years ago. Dramas these days on mainstream channels are a snooze fest. YIN always has the same hairstyle in all dramas uh? Not liking LDW hair in this drama too. But im glad that they made him like her earlier than expected instead of dragging for eps. Now im curious to see what issues will arise cos this is a 16 eps drama. She ends up going back to law school and becomes a real lawyer and co partner of ‘Always’ the law firm that’s my 2 cents worth. Kinda a bit like ‘Legally Blonde’. I read how knets criticized this drama, but why i got hooked with it? I really enjoy watching it despite ldw’s stagnant acting. 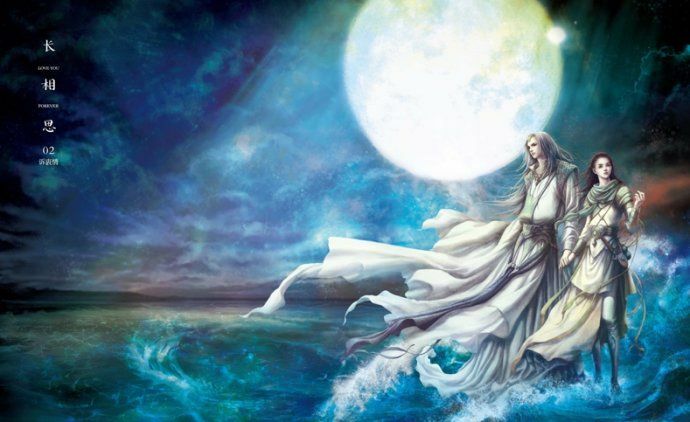 Yin and all Always staffs are so funny. So far no villain, which is good. I’m with you Yui with RIABB and TMH being my two fun dramas to go to and you’re right no super villains i.e crazy psycho Mothers/Mother in laws to contend with. The supporting cast for both shows are colourful and fun and I love their individual characterisations. hahaha, It is so funny. When it is about the drama Touch Your Heart it is only about this that we need to talk , show reviews and give recommendations. No need to compare to any other dramas since they have totally different genre. Let’s live in peace! The funny thing is both this and the follow up drama with PMY have almost a similar character set up and stock romcom plot. I don’t think anyone would want to sit through 16+16 episodes of the exact same genre. Why would tvn structure it like that? Sounds like a bad marketing strategy. That exactly my point. I never said that Encounter was not a success in the rating. That was your interpretation. 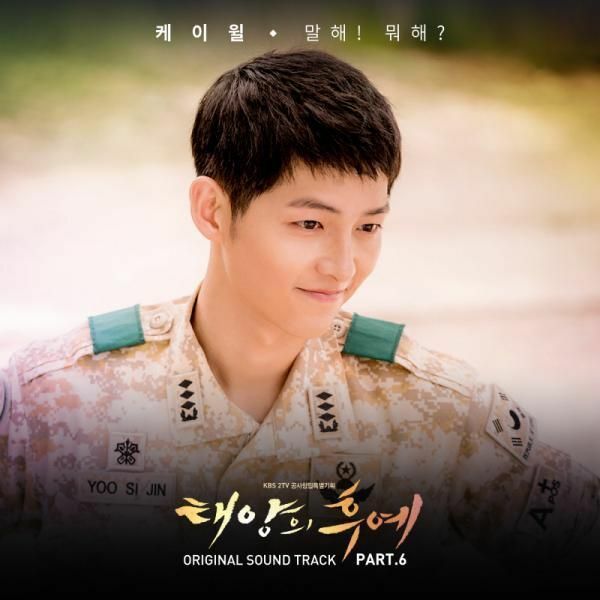 I only said that more effort was put into the promo of Encounter long before the broadcast than Touch Your Heart so it’s expected that Encounter will get high rating in the premier but if you the rating was declining… so I said you can’t compare the rating like that… we will wait till it finished.. but why are you being defensive… in a wrong way? i watched the 2 first épisodes but feel detached . I don’t feel chemistry. But i’m not giving up already because Why secretary kim and Fluttering Warning began great and went downfall . No Need to mention Clean it with passion… Touch your heart may do the opposite. I like MR MAMA boy ! I feel the same. It‘s a good drama to kill time but not invested in any of the characters yet. YIN is hard carrying the drama so far but she needs to tone down on her aegyo and lessen the high pitch screaming. LDW needs to step up and look more alert, his hairstyle is not helping either…he looks disengaged and bored out of his wits most of the time. Mr Mama boy is the best thing so far. He is too funny and the most handsome in the cast IMHO. You explained and summed it up so well Snow I guess I was in la la land when I watched it but Mr Mama Boy is one of my favs along with the other Lawyer who flirted with the subway guy but got punked when he likened her to his grandmother. But that’s the character though. Why would she tone it down? There are many extroverted people who are like that.